For the majority of our lives we have been raised by a single mom. Our father, not being a consistent part in our lives, greatly impacted us, because we were not able to be raised by both parents as many others are. It created emotions that still affect us now. There’s a range of feelings that go on which we do not know how to handle. Our mom has taught us to turn to God to help us with those feelings and we believe that this will make us stronger in life. Our mom, though she has struggled, still manages to keep us in good schools, raise us with good values, and teaches us important life lessons that will help us succeed in the future. She has been a positive and encouraging role model to us and has shown that we can do anything in life. As time goes on it’s become a natural part of our lives to be raised by one parent. We are extremely grateful for all that our mom has done for us and she has done a great job raising us and setting us up to be strong, faithful women. We may not have a father present in our lives but our mom has filled that void and we wouldn’t have it any other way. How has your story shaped who you are today? : We have learned to be strong, independent, faithful and determined young ladies. What compelled you to want to share your story with us? : We want other other kids/teenagers to know that there is nothing wrong with being raised by a single parent. What encouraging words would you give to someone who shares a similar story? : Being raised by a single parent is not as bad as you think and over time you will learn to appreciate all that he/she has done for you. I’m an author, artist, dancer, cellist and mother. But I couldn’t say that so concisely eleven years ago…I only found and redefined myself in 2014. Before that, I was Octavia, the cellist, the French major, the world-traveler, Miss Michigan. After college, I competed for Miss America and when I came home without the crown, I married my love and we moved to Chicago to begin our life together. We were surprised to become parents within our first year of marriage and panicked, suddenly desperate to do everything “right.” The shoulds we were both raised with were that good wholesome Christian families were homeowners in the suburbs with a dog and van. Check, check, check and check. As we began to complete our American Dream checklist, I realized the more we checked-off, the bigger the void in my heart grew. My husband felt a strong calling to become a pastor of a small urban ministry center and I supported it wholeheartedly. I felt a strong calling too – whether corporate or academic, I felt I had so much more to give than birthing children, although that had become my life. I went to graduate school. I dropped out of graduate school. I started a full-time job. We had another child. I quit the full-time job to be a full-time mom. But something was wrong. I wasn’t like those moms that are fulfilled being moms. They were so happy with their children, nestling securely in their roles as homemakers. Content. Placid. They LOVED being moms. I loved being a mom, too, but that wasn’t all. I couldn’t place my finger on it, but I was far from content. I was lonely and isolated. So I made up some friends; I started writing books. While writing was my creative outlet, my scientific side was also understimulated and I wanted to have a career that provided more paycheck than risk. I felt called to healthcare and began my post-bac pre-med coursework. I was desperately searching for myself. I was depressed. I was hopeless. I was bored and unsatisfied. I wanted more than my suburban prison with really cute cell mates. I wanted friends. I needed a bigger purpose. I needed to contribute to the world outside of my home. I had drive. I had zeal. I had a full tank of gas but no GPS. I was pregnant again. I started designing nonprofit youth programs and writing grants to fund them. I lost my third child. I was still taking my classes, teaching private cello lessons, working part-time coordinating a STEM grant at a community college, working part-time at the ministry center, running the grant programs I designed and wrote to fund, and then, yes: enter child number four. We had our fourth child. I finally got into the medical program for which I had been applying for years. And my husband and I came to a crossroads. He didn’t understand why I wasn’t satisfied. He didn’t understand why I wasn’t fulfilled making our home my career. We went to counseling. We tried going on dates. We tried getting to know each other again. And we realized the very hard and sad truth: I would never be the wife he wanted. He would never be the husband I wanted. He would never be satisfied with me being myself. I would never be satisfied with him being himself. So, now what do we do? We got a divorce. I wonder if divorce is harder when neither one of you is the Bad Guy. I dropped out of school and feverishly took to finding my footing in a way that I could live in the city, near friends, and finally realize my larger-than-life dreams of serving others, writing books that are more paycheck than risk, and still being a creative and nerdy mom. As my circle began to learn about my divorce I realized I was part of a secret sisterhood of silently suffering beauties – wives, unfulfilled by their relationships, and suffocated by the shoulds of motherhood. I began blogging to help myself and others navigate the treacherous and uncharted trails of unexpected emotional trauma. I called the blog Road to Relovery (roadtorelovery.com) and continue to write from my experience of being a single mom of three, trying to honor God and myself and my children with every decision I make. Finally, here I am, three and a half years post-divorce, successfully co-parenting with my once-husband, successfully working in a career that is more paycheck than risk and uses both my writing skills and healthcare passions to serve one of the country’s leading children’s hospitals; and I’m about to release the first episode in my sci-fi fantasy series, The Hibouleans, with nine more episodes already written – and I’m working on my next biblical fiction novel, Hem. 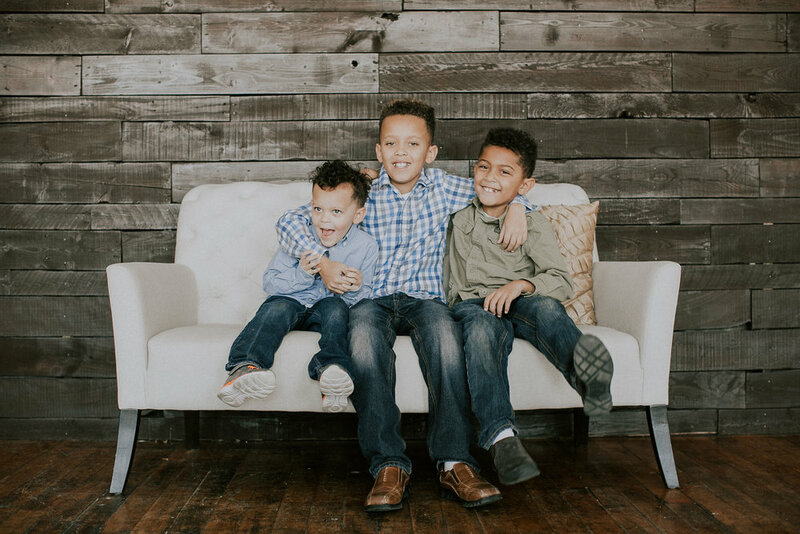 I’m proud of my journey, not only because I am being more true to myself, which helps me be a better mother to my boys, but also because I didn’t have to choose between God’s calling for me and the weight of the shoulds. I am a better me -- author, artist, dancer, cellist and mother. My dreams are coming to life. I am flourishing. My children are thriving. And I feel like I've only taken the first step. I have had a colorful reset to the adulthood chapters of my life and I know there are other moms out there that can benefit from knowing they are not alone. Marriage: it is scary; it is NOT what anyone says. It takes work, no matter what. Your relationship does not define you; you define it and your partnership should serve BOTH of you, not one more than the other. Neither of you should need each other; rather you should want to be with each other and make the decision daily to honor each other and make your relationship work. And finally, whatever blessings and scars you each bring to your partnership from your childhoods, remember that you define your own culture for your family. You determine your traditions, your norms, and your boundaries. Parenting: there is no manual to parenting, but you can't parent well when you aren't well yourself. If your goals, career, or relationship is detracting from your ability to be your best parent to your children, then that factor needs a reset and an adjustment. You can only be your best parent to your children when you are your best self. Take care of your kids by serving yourself, setting boundaries for yourself and your children, and by carving time for your own spiritual-mental-emotional health BEFORE you burn out! Be gentle with yourself and your children. Always lead with love and be the parent you wish you had when you were a child. We are Jesus lovers who are living simply and intentionally as we go after our passions! Sign up with your email address to be the first to receive updates, and when we've blogged. We promise to not email you too much! We are located in the Chicagoland area, but love traveling to all sorts of places.